Branded Video Content and Video Ads: Is it all the same? You knows that it’s coming. The video age has arrived and it’s going to take the advertising industry by storm. The report from Cisco Visual Network Index shows that video consumption will take over most internet traffic, reaching more than 69% by 2017. And when a message is retained 95% more through video content than regular ads, then it’s clear that the future is bright for video advertising. Even TV ads are suffering with more advertisers moving their money to online digital ads, and for a good reason. IAB report that online video ads have more of an impact on users, especially if they are already engaged in streaming a full online TV show. This research adds to the growing evidence that online video advertising is working and with the strong trend of people having broadband only in their homes (bye bye cable TV), it seems that this is the direction many advertisers are going to take. Some people call it branded video content, some call it video ads, but the question remains, is there a difference? In my opinion video content and video ads have ultimately the same purpose. And that is to make consumers buy. Whether it’s direct sales or a brand story building strategy, these ads want the same thing: people to love the product. The only difference is, the aggressiveness in which they do that. Before we get into the details of what’s the more aggressive form of video advertising content I wanted to bring up the issue that many publishers face and worry about; the mobile era. You’re probably wondering whether users prefer desktop to mobile for video content, then you might be surprised. Many think that desktops are more suitable for online videos, but a lot of research is showing that the mobile era is in full swing. Neilson’s 2015 Q1 report shows that in just one year we are watching 1hour more of online videos on our mobiles when compared to Q1 in 2014. By 2016 more than 66% of the world’s mobile traffic will be video. AOL’s recent research showed that users don’t mind watching videos on smaller screens and video advertising actually works better on tablets when compared to desktop. Basically, video advertising is going to be huge by next year, and if you are keen to get ahead of the competition by incorporating this strategy you have to be aware of a few things. Advertising on video has become less about direct sales and more about gently pushing the reader in your direction. 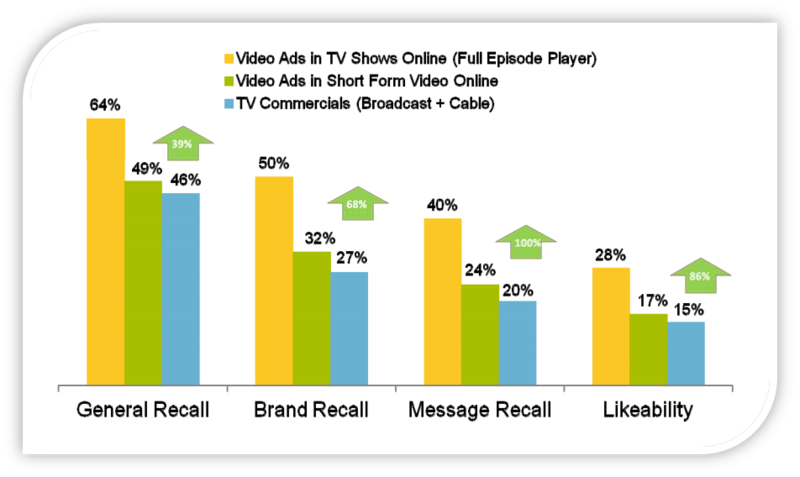 Most people are savvy enough to know that video content (brand storytelling) is still advertising. The best video content ads are taken from learned insights about consumer behavior and filling the gap with emotional triggers (remember the winner for best ad 2014?). Many people in the industry are saying video advertising will hit its peak next year. But to be ready for this both publishers and advertisers need to start providing users with video content they are expecting. And yes, they are already expecting. The power of video content has gotten many publishers starting to take the lead and create their own productions. Time Inc. has started releasing full length documentaries as a way to engage a new audience that is eager for more visual instead of text based content. With a video team of 60 people and producing over 200 videos a week, Time Inc. is setting a new standard for publishers. The reason why this is a strategy worth adopting is because your readers are already searching for video content so by giving providing them with what they want will help solidify your authority in your industry. And not forgetting that it gives you another real estate to monetize on the way. Let’s start with the story telling approach. Many companies are opting to use online video as a way to portray their brand, rather than their products. When one of my favorite influencers Joe Pulizzi says this form of content marketing is powerful, it’s best to start listening. Video content is advertising. Granted, it is a softer approach and has more thought out psychological factors involved to get people interested. For example, the first compulsory 5 seconds of the video ad has to catch the viewers attention otherwise they are going to click skip ad. This is like the above and below fold technique that is used on many sites, but applied on video. In a roundabout video content will get people to buy products because: they watch the video (story), connect with the content and develop a good impression of the company which makes them more likely to buy their product in the future. There is even a leader board for content video advertisements that is really worth checking out. And of course, the Arnold Terminator prank is at the top. The smart companies that use this approach usually play on our human emotions. From happy, to sad to wonder, these are all part of video contents way of getting users to engage with the brand. I challenge you to watch this video advertising for WestJet Airline without having a tear in your eye. People love this type of video content and it works really well when it comes to social media sharing. The viral aspect of these videos can create huge amounts of attention and in turn convert more people to a product. Social Media Examiner put together a really good guide to building a social media strategy with video content that you might want to check out. So you want to advertise on videos but don’t have the budget to carry out a full branded content video campaign? 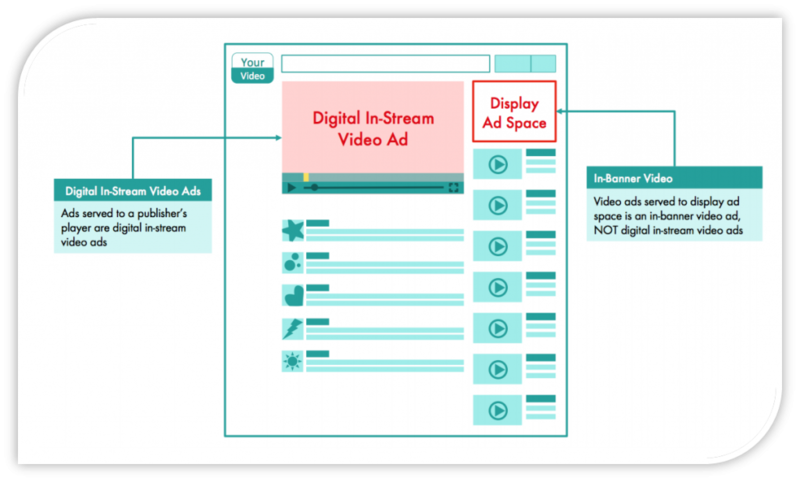 There are types of video advertisements you should know about; in-stream and in-banner. IAB have a recently updated guide that explains all the metric details. In-banner video advertisements are less popular, as they can come across as quite aggressive. You can recognize them as basic banners with a video embed and can be seen on many websites, especially YouTube. You can choose between 728×90, 160×600 and 300×250 for sizing requirements (the IAB standards). In-stream video advertisements are placed on the actual video stream, you probably recognize them as the ads you see on YouTube where you have to watch 5 seconds before clicking ‘Skip Ad’. There are three types you should know about. Pre-roll; Like I mentioned above, these ads come before the video content the user is waiting to see. I don’t know about you, but when I have to wait 28 seconds for an ad to end it can get quite irritating. These are probably the least effective as many people just click off as soon as they see an ad. Mid-roll; You will see these ads show up in the middle of an online video, almost like a commercial and often you cannot skip them. Sometimes there are a few mid-roll ads on each video. Though these timed ads are the most intrusive to users as it stops them midway in their viewing experience, they are also the most effective. The viewer is already engaged in the content and will likely wait for the ad to be finished. Post – roll; Only shown after the user watches the entire video, this is not the most efficient choice as many users often close the video before the end. Overly ads are another format that many publishers prefer as they sit on top of the content while the video continues to play. This doesn’t stop the users in mid flow viewing and gives them the option to engage with it. Most advertising on video is now in-streaming, so it’s best to get a grip of the process before you make a decision on how to go forward. The main factor about getting video advertisements right is all about the context. Ads that are contextually relevant to the video they’re placed on are more likely to be effective than something that is not related at all. This is the same concept for other types of advertising, like in-image ads, which is why you can also call them ‘native advertising’. So whether you use video content or direct advertisements, you need to think about the context it appears to your viewers. Cultural aspects of advertising should also be taken into consideration. Forbes highlighted back in May how marketing professionals have jumped on the trend train of portraying ‘Sheros’, the modern day ultra woman. You have Pantene’s #ShineStrong campaign as a good example of this type of cultural trend hitting video advertising. 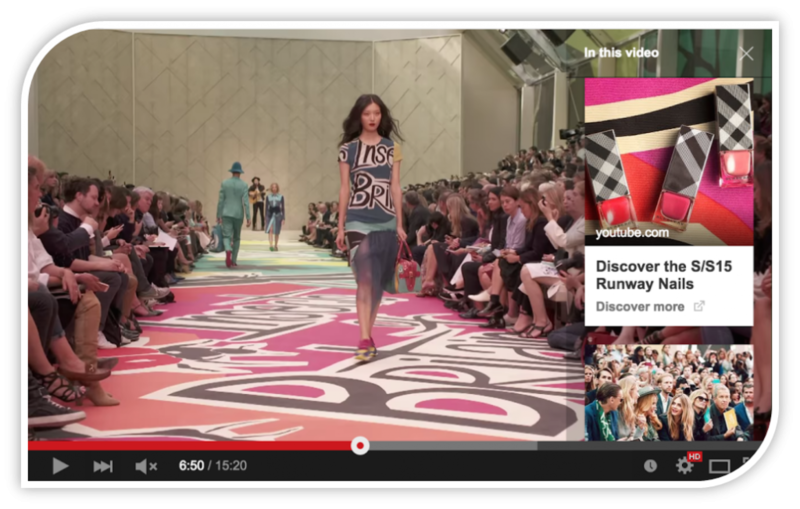 Earlier this year YouTube introduced TrueView cards for in-stream videos. Basically, these ads appear on a running video and highlighting a product for users to interact with. The concept is based on brands requests for ads to be more interactive and to get more information to be shown related to the video. This also breaks down the counting element for user actions, now a view is counted if the ad has been watched entirely or a card received a click. It can be a confusing landscape to navigate, especially in the beginning. Ad networks can offer various different options with different outcomes. As a publisher you will be able to choose when to place a video advert, allow users to choose what they want to see and if they can skip the ad. The IAB set stringent rules in order to protect viewers from over aggressive use of video advertisements that you have to abide by as a publisher. Knowing what function to choose is the difficult part. 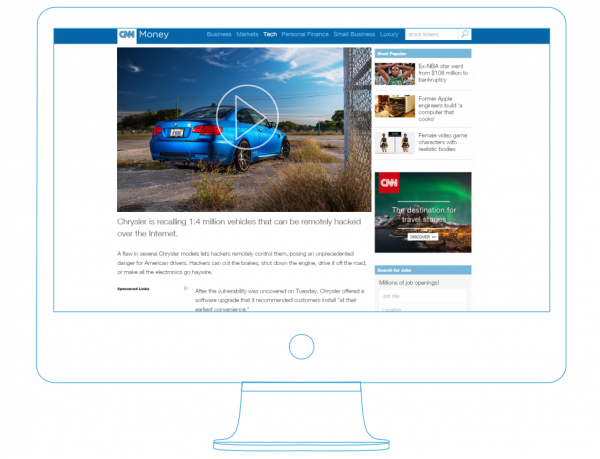 There is a new trend on the loose in the video content sphere and it’s called autoplay. First appearing on Facebook feeds and now Twitter is attempting to do the same, autoplay directly plays videos as you scroll down your screen. This technique raises impressions and therefore ad revenue. Though this technique is becoming more popular, there are issues that are correlated with implementing this strategy. Many users are not happy with the autoplay function and are manually disabling the function and is causing a backlash against the use of video content. Only time will tell if this affects the shareability of videos such as Game of War starring Kate Upton. You can be the judge. The minimum visibility of a video before it starts playing is 50% (by Google standards) and it is important that if you do have auto play the video is played in mute. We all know how annoying it is to find yourself on a page that is playing a soundtrack which you can’t find the off button for. Most people will just close the tab straight away. If you want to choose the autoplay function for your site you have to be aware that it can have a negative affect too. Though you might get thousands of impressions, advertisers will start questioning how valuable each impression is and if it is actually effective to show someone a video that they will any way ignore because there are already so many of these types of advertisement. This might have an effect on the whole industry in the future, as advertisers will not want to pay out for something that users are not actively engaging with. If users continue to be disappointed with these video advertisements, we may see the end of autoplay functions. To counter this problem, tools like Chartbeat can help you measure how users are engaging with content on your site and if they are actually sticking around to watch the videos or simply going to another tab as its running. This can help you understand the behavior, wants and needs of your audience and then tailor the video content you use to optimize your site. If autoplay is ruining the chances of video advertisements getting quality impressions, then in-image video ads will be able to turn that problem into a solution. Playing a video on an image is a new field that is starting to be explored by many publishers. The in-image advertising space has already been proven to have higher CTR rates than normal advertising, and now there are more options to include video ads to your inventory. The in-image video advertisement industry is relatively young, but with the issues that I discussed earlier it’s clear that this direction might work better for publishers in the long run. The way it works is that when a user engages with a photo, whether it’s clicking or even just scrolling over it, an ad will appear. There is a choice now for publishers to choose video ads instead of regular ads, and the results are already looking promising. Get in touch with us for more information about in-image advertising. As you can see there are many options for both publishers and advertisers when it comes to video content. To add extra touches to your video content strategy, you should think about how to incorporate them into your entire business, including using explainer videos and tutorials. Many publishers are now streaming podcasts and interviews which gives them the opportunity to use video marketing to a very targeted audience that is already engaged with your content.